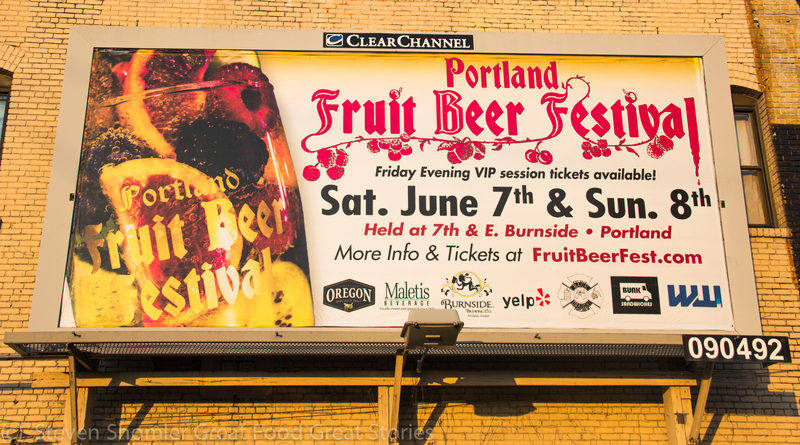 This weekend brings us the 4th annual Portland Fruit Beer Festival. 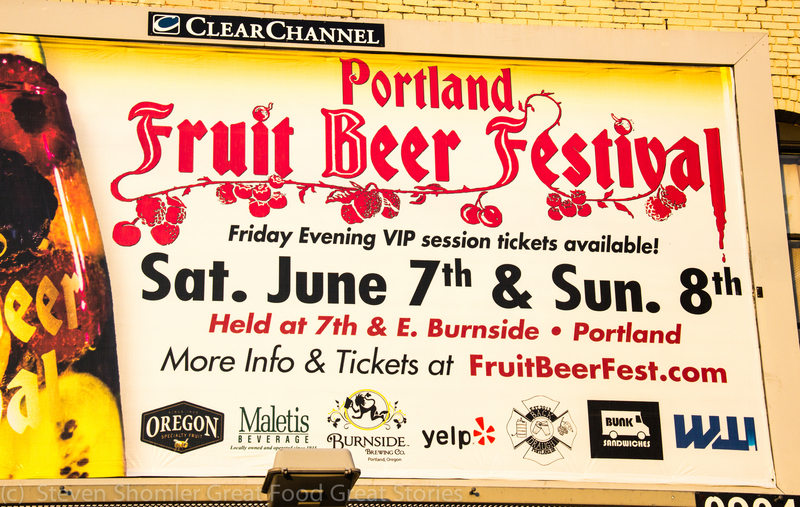 This is the largest fruit beer festival in the US and those of us in Portland are lucky enough to have it happen right here! Fruit – Lots of it! 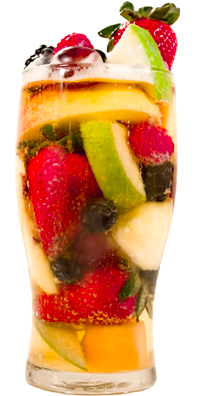 At this event you can get some amazing beer – each one made with fruit! By my count, over 30 different fruits are being represented. Here are just some of the fruits that will appear in beer this weekend – strawberries, peaches, nectarines, mangos, limes, guava, cucumbers (yes a fruit), black currants, blackberries, mamey, cherries, persimmons, pomegranate, passionfruit, and more! The Beer is Really Really Good! 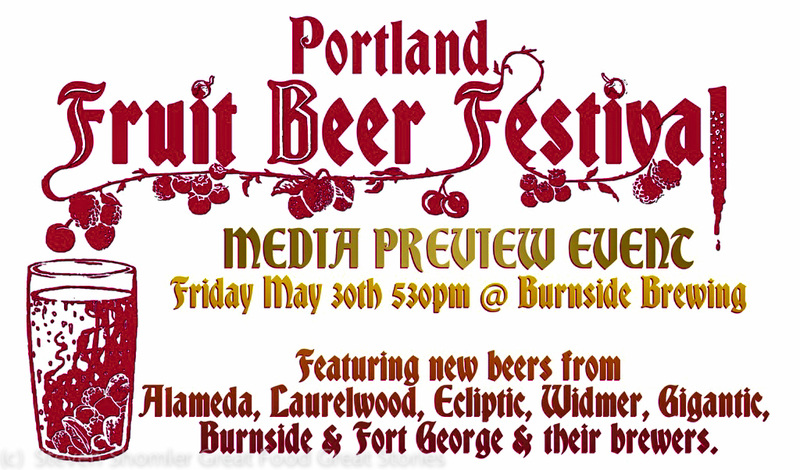 This past Friday night, I was invited to attend the Portland Fruit Beer Festival media preview and sample 11 different fruit beers that will be appearing this weekend. If you like beer, you need to go to this event! They will have 25 different regular beers as well as 25 rare/rotating beers. Here is a link to the Fruit Beer Festival website that describes some of these beers –www.fruitbeerfest.com/festivalbeers. See below for a list of both sets of beers. V.I.P. 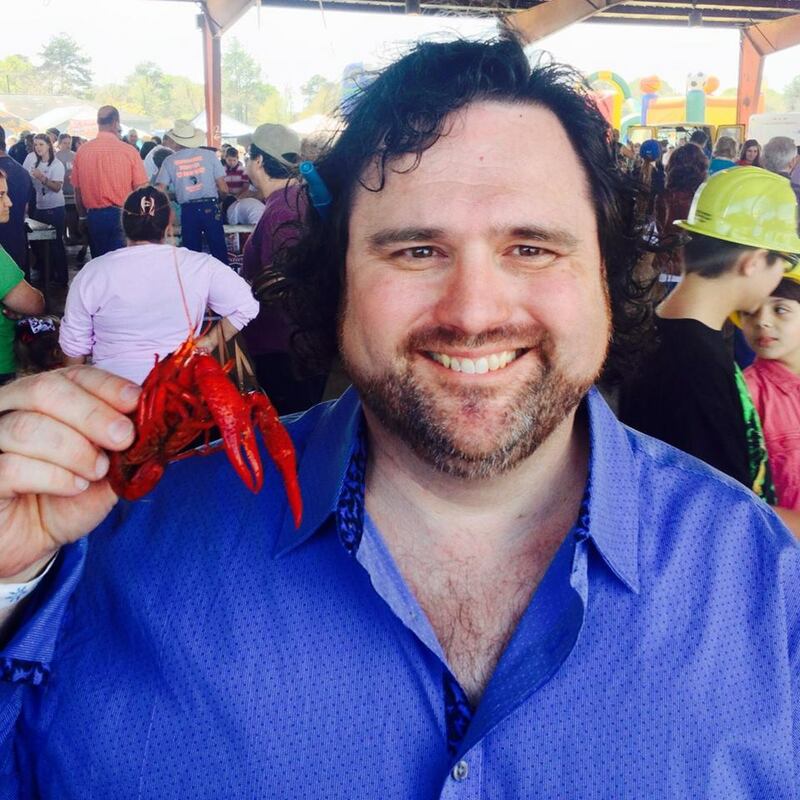 Session: 4 – 9 p.m. Friday June 6; Regular session 11 a.m. – 9 p.m. Saturday June 7th and 11 a.m. – 6 p.m. Sunday June 8th. 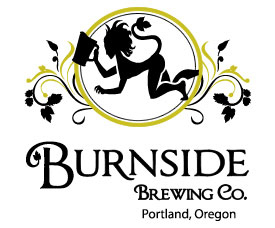 This is all-ages event that will be taking place at Burnside Brewing at E Burnside and NE 7th. Just to be clear – Yes! 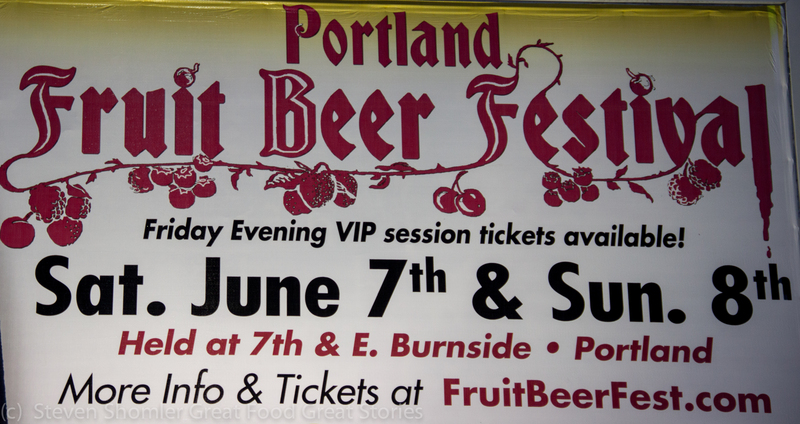 The Portland Fruit Beer Fest is an ALL-AGES event and can bring your underage kids with you! As an added bonus, any of your children over 21 can enjoy a fruit beer with you! General Admission Tickets are $20 and include a 16 oz branded glassware and 12 each drink tickets. Most of the time, a drink ticket will get you a 3 oz pour of fruit beer. A few of the more expensive beers will cost you 2 – 3 drink tickets for 3 oz pour. If you come a across a beer that you want a full 16 oz glass of, you will hand over 4 drink tickets (for most beers – a few will be more). 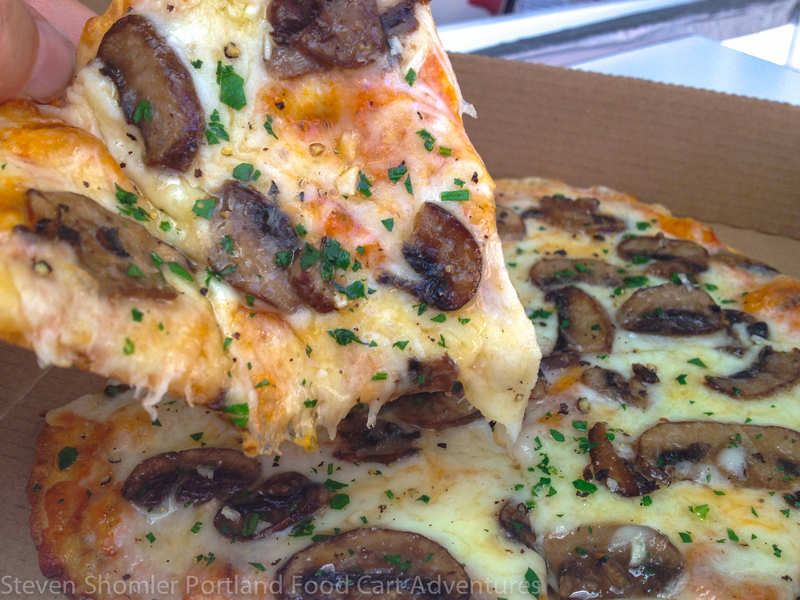 At the Portland Fruit Beer Festival you will have three wonderful food options! 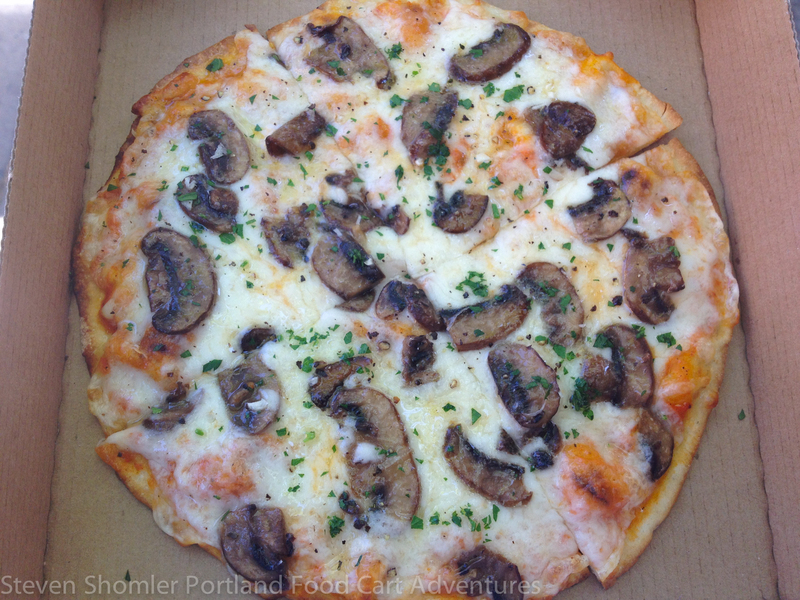 Pulehu Pizza (pictured above), The Bunk Truck and Burnside Brewing. Belgian Dark Golden bier brewed with Mamey fruit. This tropical fruit native to the Caribbean and Central America has a flavor which could be described as a mix of sweet potato and pumpkin topped off with maraschino cherry and a almond twist. American Style IPA brewed with experimental hops and Concorde Grape Juice. American Sour Ale conditioned with passionfruit. Sour spelt based beer with Navel Orange, Murcott Mandarin, Meyer Lemon peel and orange and lime juice. Sour ale with peaches, unmalted wheat, juniper berries, pink peppercorn, and habanero. A pale ale with puréed mango,Munich and honey malts, bittered with Centennial and finished with Citra and Mosaic. 40% wheat beer with a secondary fermentation on strawberries and rhubarb. A tart Belgian-Style boysenberry golden. Belgian fruit beer with the juice from the five fruits that make up the USDA definition for fruit cocktail, specifically 40% peaches, 35% pears, 10% pineapple, 10% grapes, 5% cherries. Laurelwood Brewing – Portland, OR – Aren’t You Glad I Didn’t Say Banana?Citrus wheat ale with mixed citrus – including orange, lemon, lime, and grapefruit. Golden ale ame with pears that were handpicked in Salem, OR by the brewers and bartenders of Lompoc in August 2013. A Flanders red with strawberry and plums Strawberry puree and a balsalmic vinegar reduction. Saison aged with organic apricots. 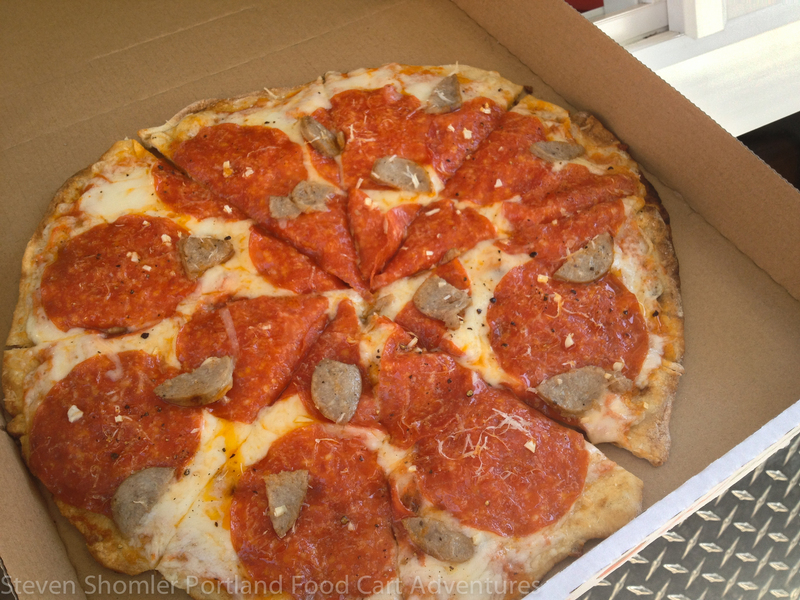 Reverend Nat’s Hard Cider – Portland, OR -Sweet Triple Hot ¡Tepache! Pineapple wine with partially fermented pineapples with three hot peppers: Habanero, Aji and Ghost (but not too hot). Cider made with fresh-pressed NW apples and Oregon-grown marionberries. Aquavit barrel aged rye saison made with dried persimmons, and a bit of pomegranate. Grapefruit White IPA brewed with coriander and the zest and juice of 100+ pounds of fresh grapefruit. This limited release collaboration was brewed with 5 Stones, a small brewery in Cibolo Texas (near San Antonio) that specializes in brewing with fresh produce and non-traditional ingredients. Cream Ale brewed with milk sugar and peaches. The rare beer list is made up of primarily 1/6 barrels or very small kegs with three to four taps dedicated to pouring these beers and a new one being added after each runs out. 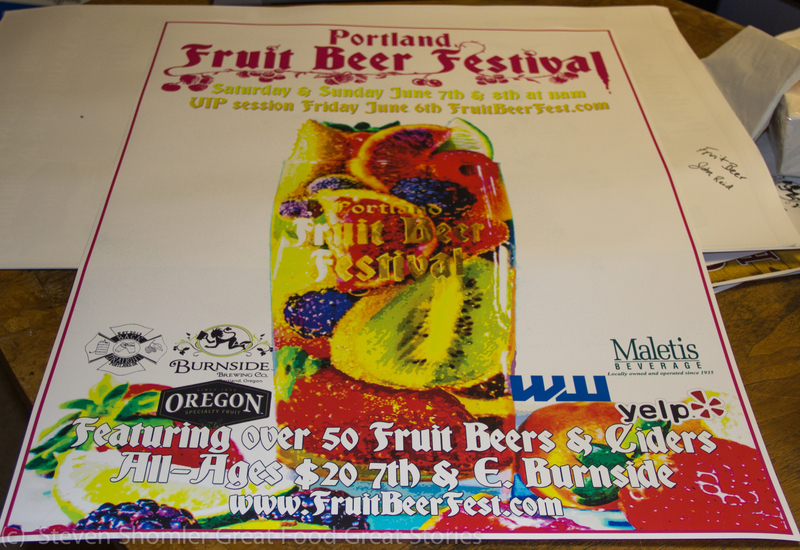 Created for the 2013 Fruit Beer Fest. Gold Medal Winner at the 2014 World Beer Cup. Strong sour ale fermented with wild yeasts and Oregon¬ grown Gamay grapes. Imperial Stout with Belgian Chocolate, Strawberries and aged in local Rum barrels. Belgian Golden with citrusy sweet Yuzu juice. Belgian-style Tripel with Raspberries added. Barrel-Aged winter ale with Cherries. One-off single 5 gallon oak firkin. Belgian-style ale with Muller Thurgau grapes aged in Pinot Barrels with Brettanomyces. 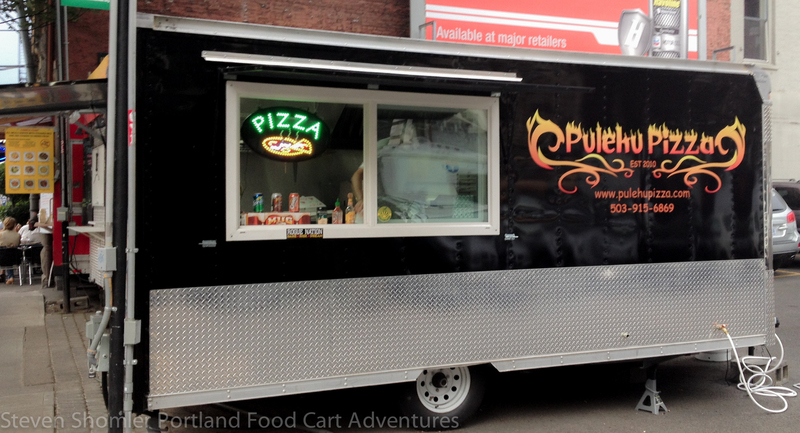 This entry was posted in Beer, Portland Festival, Upcoming Culinary Event and tagged Beer, Beer Festival, Bunk Sandwiches, Bunk Truck, Burnside, Burnside Brewing, Fruit, Fruit Beer, Fruit Beer Festival, Mamey, Mamey Fruit, Portland, Portland Beer, Portland Beer Festival, Portland Fruit Beer Festival, Pulehu Pizza, Pulehu Pizza Food Cart. Bookmark the permalink.